School Board elections are on Tuesday, April 2nd. The FSP157c recently asked the five candidates running for District 157c Board of Education a number of questions that were on the minds of district families. Below are the candidates' responses. A special THANK YOU to all of the candidates for taking the time to answer the questions presented. **Responses are in alphabetical order by last name. 1. Where do you stand on the NEWSELA? How do you feel about the content and how they are promoted? NEWSELA is a tool our children have access to that rewrites news articles, historical speeches and scientific papers for students at different reading levels to help them learn to read. I have talked to the staff of NEWSELA to see how they chose their articles. They told me that ALL STORIES in NEWSELA must meet at least one of three criteria. 1. They must have a curriculum connection or relate to something teachers are already teaching. 2. They must be relevant and teach students something about what is going on in the world today. 3. They must be engaging and interesting for students, encouraging them to read even more. 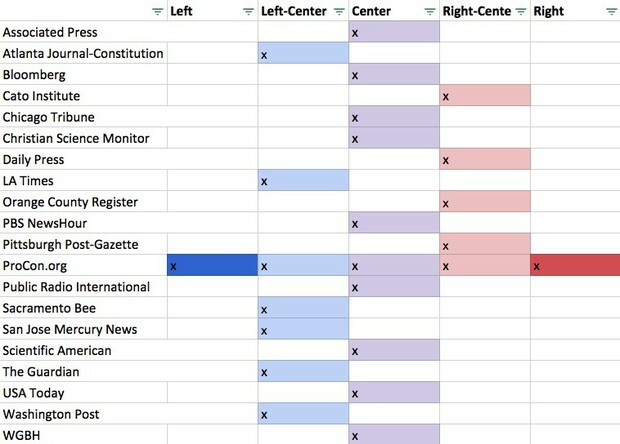 Based on parent questions, I researched the program and found that most of their sources are deemed center by allsides.com which looks for media bias (see table below). These sources allow the writers to include evidence-based facts. I also found that opinion pieces are properly labeled as such. My kids have learned much useful information from NEWSELA, and I would like to continue to have it be a tool that the 157c students utilize when learning how to read and interpret information. 2. Where do you stand on the future of in school parties/activities? Would you like to see them continue as is or are there specific changes you would like to make? School parties are an important part of the school year. Kids are often under mental or emotional stress at school and these parties give them an opportunity to unwind. I would like to see school parties continue at our schools. There are many holidays that not all families celebrate due to cultural or religious reasons. I understand that this can make school parties difficult to plan. Parents and teachers have generally done a good job of keeping crafts and decorations generic. There are ways to connect the theme to the time of year. Alternatively, if parents are particularly opposed to known holidays that schools celebrate, a conversation should be held with the teacher/school ahead of time to come up with mutually agreeable compromises. In addition, I like the idea of celebrating multiple holidays during one party (if applicable) to allow children to experience various cultures and traditions and allow everyone to feel included. 3. Can you speak to our current programs for advanced students? How do you see these programs growing/evolving in the coming years? All students are entitled to an appropriate education and for some students that means increased rigor. Currently over 25% of our Hickory Creek students participate in advanced classes. Students in 157c are placed in advanced programs based primarily on their standardized test scores. From the reading that I have done and the fact that students are more than their test scores, this should be changed, and advanced students should be placed in programs based on multiple factors: an IQ test, standardized tests, teacher recommendations and classroom grades. Currently our district has both advanced classes as well as pull out programs. Both have been shown to be beneficial to children and should continue. 4. Can you talk about your vision for children with special needs? In your opinion, how can the school promote inclusion of special needs students and are district teachers and employees a part of this plan? Again, all students are entitled to free, appropriate public education in their least restrictive environment. It is the school's duty to ensure that the goals and objectives set forth in a student's Individualized Education Plan be met. Families and students should be involved in creating these plans. Promoting inclusion in classrooms encourages a sense of community and I would like to see this continue. For this to be effective for everyone, goals should be determined prior to enrollment. Resources should be identified and highlighted in the plan (Vaughn et al 1995). Teachers and paraprofessionals should be employed as part of the plan to aid special needs students. Inclusive classrooms can provide special needs students with less restriction and the resources aid all members of the class. 5. How would you address transportation issues including late bus arrivals? The school district currently utilizes the District 210 bus system. At a recent board meeting, this issue was discussed, and the director of transportation blamed the problem on shortage of drivers. The shortage of drivers is likely due to a lack of competitive salary. As a result, fewer drivers means late bus arrivals and extra students on buses. This is not safe for our children and I want to look at other options. Either LW 210 addresses their driver shortage or we should solicit alternative bids to ensure the best option. 6. What are your thoughts on the current school safety protocols? What suggestions would you make to improve school safety? School safety should focus on not only on external factors but also the more common bullying, fighting and day to day security issues students face. While I am in favor of a security resource officer in the schools, I feel that their purpose should revolve around school safety, not school discipline. They can perform an annual risk assessment and highlight areas that need to be worked on. Securing the front door is key. The camera and locked door are a great start but having ballistic plastic over the glass panels may ensure further safety. Also, developing a good relationship amongst the students and adults in the building is key (as well as at home). Students should trust the adults in their lives to be able to bring forth issues that may arise. 7. What do you think we could do to increase the attendance at board meetings? Do you think there should be more parent participation? The schools are a vital part of the community and we should all be aware of the issues that the school board debates. I would like to see increased attendance and participation at meetings. A good way to accommodate the public would be to release detailed agendas pertaining to what will be discussed at each meeting. These agendas should be posted in a location that is easy to access. I would also like to see a live feed of the school board meetings to include members of the community who cannot attend meetings. Currently, attendees can speak on any issue at the beginning of the meeting. I would like to see an audience participation segment at the end of the meetings as well. This way the audience can comment on issues that were discussed during the meeting, instead of waiting another month. I want the community to feel like they are active participants in the meeting and not just witnesses. 8. What is your opinion on the length of time allocated to lunch and specials? Do you have any recommendations for change in the future? The optimum length of lunch should be researched. Though I am sure there are advantages to extending the lunch period (less waste of food, more nutrition in), I am also sure there are disadvantages too (taking time away from other activities like recess which is essential for children as well). Another avenue to explore is making the lunch period more efficient. Often, it takes 5 minutes to get children situated in their seats at lunch rooms. Also having additional staff may help increase efficiency in the lunchroom. In regard to specials, I feel like they are needed to add variety to the curriculum. I would want them to remain in place and I feel that each special warrants a teacher assigned to that subject. 1. Where do you stand on the Newselas? How do you feel about the content and how they are promoted? From what I understand of the controversy regarding Newselas – the main issues are with respect to the use of biased news articles on hot button topics and/or topics/themes that are not age/content appropriate for classroom reading comprehension instruction. In my view, this does not need to be a debatable issue, as from my understanding, the content of the material used is not essential to the objective of reading comprehension. So – hot button and debatable political news articles and those with sensitive topic matter would not be needed or appropriate for use for reading comprehension. However, if the particular class and teacher is focusing on current events/civics/political discussion (one of my favorite subjects when I was in school) – then advance parental notice and a fair minded discussion with both sides of the particular issue fairly presented would be great. It would be important to ensure that student questions and opinions on both sides of the issue are respected. As a Board – we would leave to the teacher’s good judgment on how to incorporate those topics into their discussions and what materials (Newsela or other similar resource organizations) are used to ensure a balanced discussion – depending on the slant of the articles used. I think school parties are great. They are a fun way to allow students to celebrate particular holiday seasons and socialize with their classmates. These events help balance out the educational experience and can work to help students interact with each other in a less formal and lighthearted way. In the same way – field trips should be encouraged and expanded to allow students more hands on and in person discovery of different learning opportunities. On site and in person experiences greatly enhance interest and discovery of topics that are studied or talked about in the classroom. Pep assemblies, band assemblies, and art showcases would all be good to incorporate as much as possible throughout the school year. Advanced students should be challenged and classes should be available to ensure that these students don’t become bored or complacent with their learning. At the same time – it is important to keep a balance with the overall learning experience for these students – so that the same group of students is not isolated within the school. Currently, not every subject has an advanced/honors level – so we should look at expanding advanced/honors classes to social studies and science. Additionally, we should consult with teachers to best implement a plan that maximizes learning while at the same time keeping balance. I think we need to continue to look for ways to include students with special needs into all aspects of the daily school experience when appropriate and in the best interests of the student. Some specific ways to do this would be having special needs students assisting teachers/sponsors, coaches and teams as managers/assistants for sports teams and extracurricular clubs. In addition – general education students could help out more with Special Olympics programs. Both would allow inclusion and interaction that would be beneficial to all. Incorporating special needs students “to the least restrictive environment” will require continued collaboration with parents, teachers, and staff to ensure the appropriate resources and training are in place to ensure the best possible results for all. As the needs of each child may be different, close consultation among this team is essential. Reaching out to staff at LW210 on ways to incorporate some of their plans and successful techniques would also be helpful. The improvements to traffic flow and parking lots at HC was a big help. The drop off traffic for car riders and bussed students has improved. The bus system itself is somewhat complicated as it is coordinated with LW210. Shortages with bus drivers and late no shows can complicate the chain reaction that flows from HC to GP to Chelsea. Better coordination with LW210 (including hiring process of bus drivers) and evaluation of bus routes used (if some tend to be problematic) can help to further improve the situation. Further study would have to be done on specific concerns to allow improvements that can get to the root of the problems. Safety is the first pillar of my campaign as there is no higher obligation than to keep our students, teachers, and faculty safe. Our children are our most precious assets and we should do everything in our power to keep them safe when they are at school. I want Frankfort District 157C to be THE safest school district in Illinois. The recent addition of a full time police office for the District was a good start – but we need to do more. We need to focus on cutting edge technology and policies to ensure our children receive the very best. I would like to see 2 additional resource officers in our district so that there is 1 assigned to each school. Further, I would like to see the district implement ALICE training as recommended by the Frankfort Police Department. We should also review the national studies and recommendations brought on by recent tragedies to ensure we learn all we can and implement what makes sense for our district– so that we can be confident that we have done all we can to make sure our students, teachers, and staff are as safe as possible while at school. Our kids and teachers deserve nothing less. Parent participation is a good thing and should be encouraged. This also applies to the board of education and meetings. Parents should be encouraged to offer concerns and express their opinions on issues they feel are important. This can be done at board meetings, but may be better accomplished by establishing board appointed working groups that gather information from parents and the community and report back to the board. Often – with limited time and the lack of desire for many people to speak publicly at a formal board meeting – more information and communication may be gained through the smaller and less formal settings. This information can then be communicated efficiently to the board and further follow up can be arranged as needed depending on the issue. The working groups could offer larger numbers of people to participate in the discussions to gain a wider consensus of information. Though board agendas are posted online in advance of meetings – it may be helpful to also email blast parents with the board meeting agenda. I like lunch! Making sure that students have a chance to recharge and refuel is important. For lunch itself, the 30 minute time period is about right. I would like to consider adding a 15 minute “break” as well somewhere in the day for HC (similar to the recess at GP and Chelsea). This time could be used for allowing students a chance to use the bathroom, get some fresh air on nice days, or just rest their minds. This would be another good opportunity for balance for our students. I think we should expand our hot lunch offerings to make them as regular a part of the school lunch plan as possible with expanded food variety. Students like hot lunch and with increased variety – likely an increase in demand. This can be a good way to raise additional funds to offset costs of extracurricular activities and field trips. Specials: such as art, music, technology, Spanish are all very important and a way to balance student learning. We should look for ways to further promote and expand these learning opportunities. Specials are also opportunities to bring all the students together (general education, special needs, and honors/advanced) and promote inclusion and interaction for all. Newsela is a digital news-as-literacy platform that incorporates age-appropriate content based on current events and other areas of interest on a wide variety of topics. This platform comes highly recommended from teachers, administrators, and parents. Thus, I strongly support its use. However, if parents feel that content is inappropriate, I encourage them to express those opinions, and as a board member, I am happy to discuss those opinions with our district educational leaders. Based on what has been previously discussed, I would not support censorship of current content. Classroom social activities are an important part of our learning environment. Our learners and educators work very hard on a daily basis, and classroom activities promote morale and offer incentives for that hard work. They also provide a forum for parent involvement in the classroom. There have been concerns about recent thematic changes to classroom parties. Certainly, we should strive for a fun and inclusive classroom environment. However, before making sweeping thematic changes to our classroom activities, there should be thoughtful discussion about whether those changes will truly have the desired outcome of supporting inclusiveness. I think we can identify ways to maintain an inclusive classroom environment without drastic changes to party themes. I have been a strong supporter of curricular changes based on the suitability of the curriculum for all learners irrespective of learning ability. Our district is fortunate to have strong advocates for our learners, and based on insightful feedback from district parents, we have expanded our advanced math curriculum to supplement our advanced curriculum for ELA. I will continue to support exploration of curricular changes to meet the needs of all learners based on feedback from our educators and parents. Our schools must be an environment that supports all learners and is effective for meeting the unique needs and challenges of our students. I am very proud of the work our district has done in this regard. We have expanded personnel to meet these needs, have improved our ability to identify children needing IEPs and have been successful in implementing those. My understanding is that 157-C is viewed as a destination district for southwest suburban families of children with special needs. However, each child is unique, and sometimes not every special need may be optimally met. Thus, we need continued engagement from district parents to help us identify programs that work as well as areas for improvement. This year, we have identified challenges with meeting the district transportation needs. Because of a school transportation labor shortage nationwide, we have had difficulties meeting our staffing requirements, which has led to routes being doubled up, frequent rotation of drivers, and consistent delays for particular routes. My first priority is safety. Irrespective of the challenges, we must provide a safe transportation system. I have advocated for providing a bus monitor on routes that are doubled up to address the challenges of driver supervision on busses with a large number of children. I have also advocated for prompt and reliable communication to families on affected routes so parents and caregivers can be notified of changes in real time. I have advocated that our district work with our transportation provider to be more proactive in meeting the challenges of finding drivers, such as job fairs, bonuses and other benefits, to increase our market competitiveness for meeting our transportation staffing requirements. School safety is a very sensitive issue for students, families, and educators. As a district, we must regularly re-evaluate our protocols, student safety curricula, and facilities to ensure they are meeting our safety needs. I have advocated for a full-time resource officer being available in district to assist with a variety of issues, most importantly school safety. We must educate our teachers, staff, students, and families on warning signs among students or staff who may be struggling with mental health issues that put them at risk for behaviors that threaten district safety so that early interventions can be pursued. The Illinois Association of School Boards (IASB) has discussed lobbying for permitting school boards to choose whether or not teachers should be allowed to arm themselves on school property. My strong opinion on this issue is that school employees should not be armed. There is not evidence to support that this measure would make schools safer, but there are data suggesting that increased access to firearms could make schools less safe. Our school board was in agreement that guns should not be allowed at 157-C, but there was disagreement about whether all Illinois schools should be held to the same standard or if they should be able to decide on the best course of action for their school district. While I agreed with the former, the majority of 157-C board members agreed with the latter. I was pleased that the majority of Illinois school boards shared my personal stance on this important issue. Thus, this IASB resolution did not pass in 2018. We should make an effort to understand barriers to parental involvement. For example, if parents are not aware of their ability to engage in open forum or even when these meetings occur, we should increase communication about these opportunities. If a major barrier is the inability to attend in-person because of child care or other issues, we should consider having a live stream or recorded meetings that can be viewed online at their convenience. Parents should be aware that changes are often made based on our open forum discussions. This is a very effective method for communicating opinions. It ensures all stakeholders hear the same message and provides the board an opportunity to ensure that these concerns are followed-up. I think specials are very important for supplementing more traditional curricular programs, and I believe parents and students particularly appreciate the incorporation of the arts and technology into the school day. I am not currently aware of any concerns about the balance of time and effort allocated to lunch and specials, but as with all issues, I welcome feedback from our educators and parents if concerns arise. Because there are only so many hours in each day and so many important aspects of education, I also support extra-curricular activities to enhance the educational experiences offered in the specials curricula. Illinois State Standards has many standards for each grade which a school need to cover before students can move on to the next level. I feel that Newselas is a good fit for this standard. While articles may not always follow someone believes, it is a perfect time to sit down and talk about the article. When my students went to FSD 157-c they had CNN news at the time. I enjoyed sitting down with my students and talking about the topics and giving my opinion while asking/challenging their opinions. I know this allowed my children to keep their believes while still respectfully listening to other's opinions. I would like to see school parties/activities to continue in the schools because it helps student with social and emotional learning, while still keeping traditions. The current programs have come a long way from when my students went to Hickory Creek. At that time they wanted to get rid of the advanced program. Although, I feel the programs we have are good, I would like them to start challenging the students more so they do not lose interest in schooling. I would also like to see more classes that challenge the students as a whole person. I know everyone wants their students to stay at their home school with all of their friends. Unfortunately, sometimes, because of shortages of special need teachers, we are not able to fulfill all of the student's need. When this happens the district administrator and teachers meet to find what is best for the student to succeed. First is would have to go through the Administration who would than follow up with the transportation company. If the issues cannot or are not fixed we would need to start looking at the possibility of changing the transportation company. The district has worked long and hard with our police and fire departments to implement the best safety protocols. Unfortunately, due to the sensitivity of this topic, it would be irresponsible to publicly make any suggestions. I would love to see more parents at our meets because being informed is very important. I do not think that there is anything that can be done to increase the attendance at board meetings. It has been my experience that most people will only come to meeting if the topic pertains to them or their child. I do not see a need to change the time allocated to lunch or specials in the school at this time. Newsela is a resource for students to read current news articles for comprehension in grades 3-12. It is a tool for our teachers to help their students improve reading, vocabulary skills and begin to start reading for pleasure. When students are online, this is a perfect time to teach them about digital citizenship and understanding what sites or content contains research and facts and how some are biased. As a school board member, I trust our administrators, who I would consider the experts in education, have researched and vetted any curriculum and website resources before putting them into daily practice. As a parent, I find the school parties in grades K-5 appropriate for what is currently celebrated – Halloween, Christmas and Valentine’s Day. These celebrations are a wonderful time for our parents to volunteers and for our children to experience a fun tradition with their friend at the end of a day. I know my own children look forward to the traditional end of the year Field Day. I would leave everything as is. I do not have any personal experience in programming for honors / advanced students. I would be interested on focusing on ensuring that we have enough support available for ALL students to be confident, life-long learners and to reach their fullest potential as our school district’s mission statement states. I do not have any personal experience with children with special needs; however, any successful plan includes a partnership and conversation with teachers, staff and parents. In the school district which I am employed, we strive to include students in the least restrictive environment only pulling them out when they need additional services. While this strategy has been successful in my district, I am aware that each school district contains its own unique situations. Therefore, I believe continued conversations and adjustments must be ongoing between teachers, staff and parents. Currently, there is a nationwide bus driver shortage that is affecting all school bus companies. If we want to help solve this problem we need to get competitive with bus drivers pay and highlighting the healthcare and retirement benefits. We also need to create a policy, procedures and communications to ensure the safety of our students for when pickups and drop offs do not go as planned. I am very supportive of the district’s decision to hire a school resource officer for Hickory Creek. An improvement I would look to make would be to hire additional officers for Grand Prairie and Chelsea. We spend lots of time, money and discussions about what curriculums are best for our children but none of that means anything if something happens in one of our schools. If anything did happen, time does matter. I would look to expand the partnership with the Village of Frankfort and the Police Department. Schools must promote themselves because in the absence of the facts, “people will create their own truths.” Improving communication with all our stakeholders and being ability to reach our parents in a manner that is simple, timely and detailed like through social media, newsletters, and the website. I also believe it is important to celebrate and commend our staff and student accomplishments at each board meeting to inform all stakeholders. We want people to attend board meetings to celebrate all our district accomplishments. The school district has a set amount of time in a school day to work for instruction but also providing teachers a plan and lunch period. Grand Prairie has 40 minutes for lunch and recess. In the school district which I am employed, elementary students have 35 minutes. I have been to my daughter’s lunch a few times, I found her lunch period well supervised and that she had more than enough time to eat and to get some fresh air at recess.